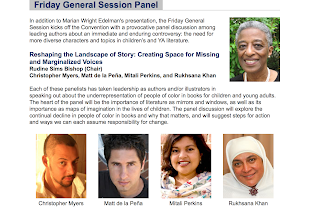 I'm heading to the National Council of Teachers of English's annual convention in Washington D.C., and am also teaching a writing workshop at Ballou High School for An Open Book Foundation. 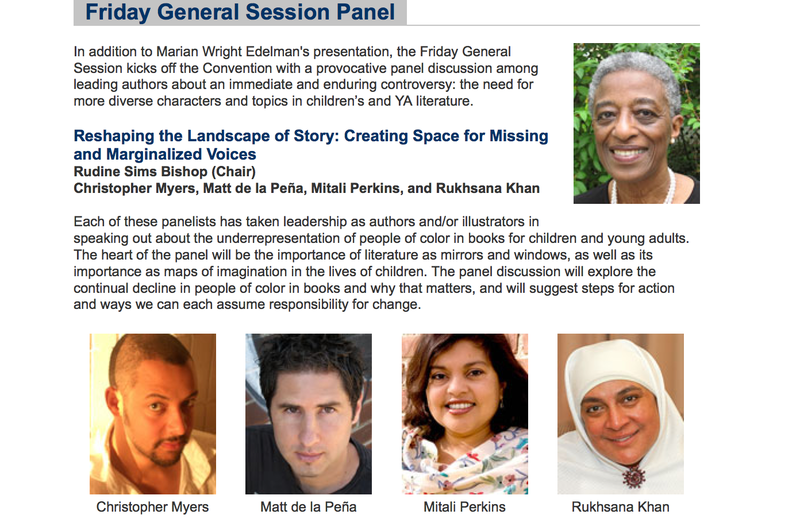 At the NCTE Convention, I'm speaking on a panel in the main ballroom at 8 a.m. during the General Session on "Reshaping the Landscape of Story: Creating Space for Missing and Marginalized Voices" (see below), and then signing TIGER BOY from 12:30-1:30 at Anderson's Bookshop's booth (#153) and from 1:30-2:30 at Charlesbridge Publishing's booth (#226). Stop by and say hello if you'll be there.